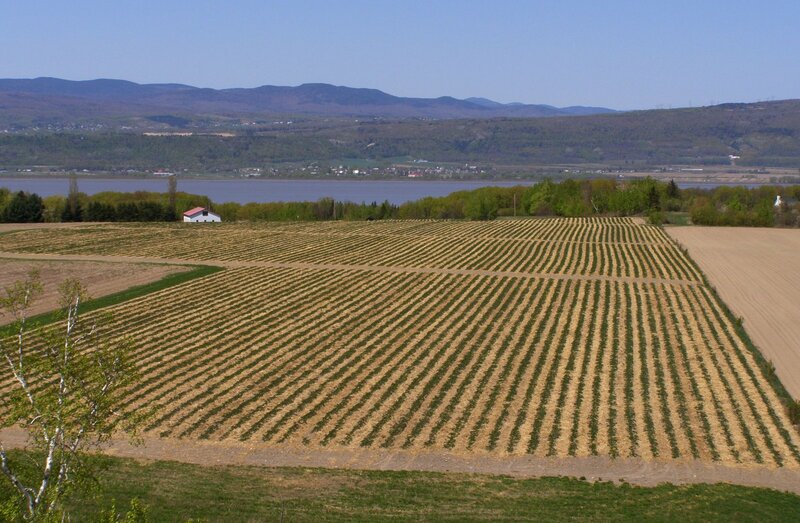 If you go to Quebec City, consider visiting Ile d' Orleans, about 10 miles up the St. Lawrence River. Once you cross the bridge to the island, follow the 40 mile Royal Road. It takes you all around the outside of the island, with great views of old homes, vineyards, and farms. 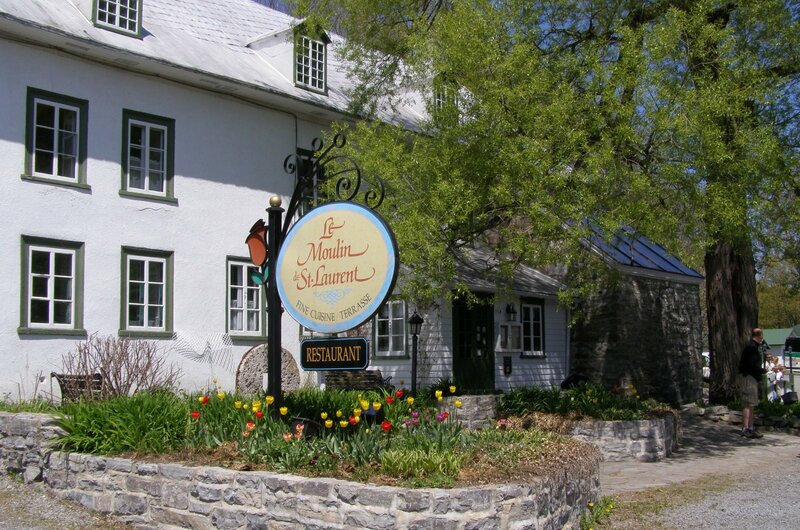 We enjoyed lunch at Le Moulin de St-Laurent, a restaurant located in a renovated flour mill from the early 18th century. From there, we drove to a look out tower in St-Francois where we climbed the stairs for a great view of the island, and the hope that it would burn off the calories from lunch. The tower also gave us a view of Gross Ile, the quarantine station for the Port of Quebec from 1832-1937. Thousands of Irish immigrants were buried on Grosse-Ile during the typhoid epidemic of 1847. Our last stop was at the cider house Domaine Steinbach in St-Pierre. We sampled ciders, including ice cider (like ice wine), vinegars, mustards and jellies. My favorites were the Thyme and Garlic Cider Vinegar, the Honey Mustard and the Apple and Cinnamon Jelly. The mustard and jelly went home with us, but I worried about the Vinegar leaking. I regret that decision now. We also tasted an incredible raspberry wine that made you think "chocolate" when you tasted it. I wish I brought some of that home, too. I would have paired it with some decadent chocolate treat. We were on a guided tour, and while it can be nice to let someone else handle all the details, I missed the freedom of traveling on our own. I would have loved to stop and explore the small towns that we drove through. I enjoyed having a guide who shared stories about the island and answered our questions, but a guidebook would have been enough for me. We also could have asked questions at the local tourist office and shops we stopped in.